I don’t believe in leadership. I believe in lots of things, but I think the concept of leadership needs a makeover…at least for me. Jesus never seemed to talk in terms of leadership the way that most people today do. To Him, leaders weren’t the “movers and shakers”. They were the “lovers and givers”. They weren’t the “up and coming”, they were the “down and dirty”. Thinking leadership has to do with prestige, progress, productivity, or power is a big mistake. That is, if you take Jesus seriously. If “Jesus Christ” is what comes out only when you stub your toe, then you might not know what I’m talking about. Jesus never taught about leadership. Go ahead. Look for yourself. And yet “Leadership” has been a buzz-word for quite some time among Christian “leaders” and how we view discipleship and training. We often associate “success” with the number of “leaders” it produces or at least the number of people it attracts. Now, in the interest of full disclosure: the student ministry I help to *gulp* lead has a vibrant and active *gulp* “Student Leadership Team”. But we’re crystal clear that being part of that team is by no means a “step up”, but rather a “stoop down” as we put it. Those called to lead are those willing to love, serve, and lose themselves in selfless sacrifice so that others are blessed. A “leader” isn’t a favorite of God because the last time I checked God doesn’t have any favorites as much as He has ALL favorites. So, what did Jesus say about leadership? Simply put: nothing. What did He say about servanthood? Simply put: tons. That’s why while removing the word “leader” from my vocabulary might be nothing more than semantics, I do firmly believe that those who serve/love/shape people would do well to follow Jesus non-struction on leadership and His clear INstruction on servanthood, humility, and selflessness. 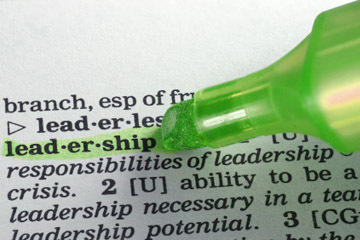 What have you been taught about leadership and how to attain it? What can the ministry world learn from the corporate world in this regard? And what can the corporate world learn from the ministry world? That’s why I prefer the term “servant-leader” or one who actually “leads” by serving. His goal is not leading but serving. But in the process of serving he leads as an example of servanthood to others. Hope that makes sense!